Once a designated Free Speech zone and location of protests such as Occupy Baltimore and Black Lives Matter, this Brutalist gem from the 1980s was ultimately demolished in 2017 after several unsuccessful attempts at saving it. 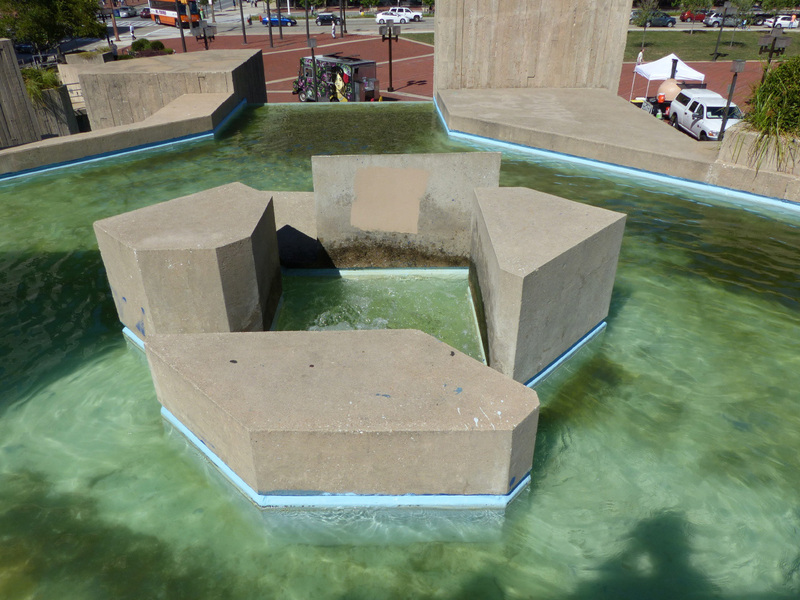 For 35 years, the McKeldin Square was home to a rare public fountain in the Brutalist style designed by architect Thomas Todd. 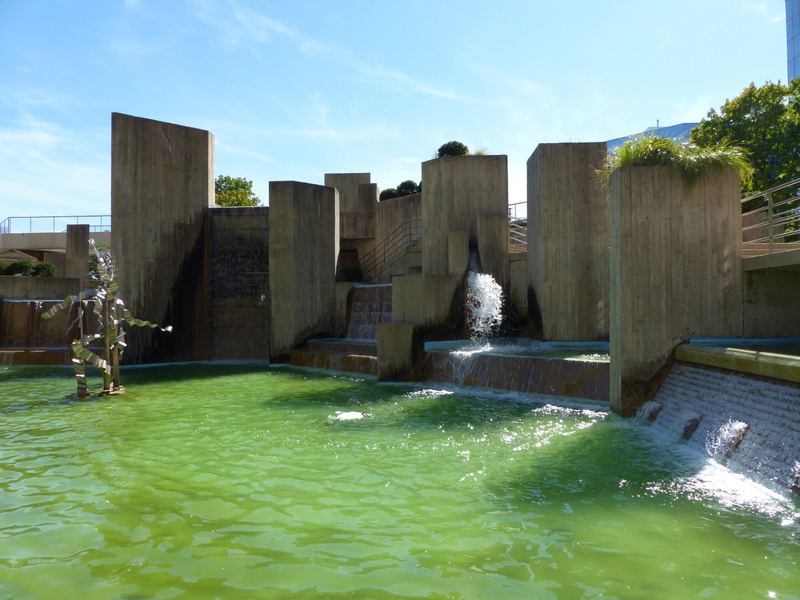 Located in a Free Speech Zone in Baltimore’s Inner Harbor, McKeldin Fountain was popular among local workers, tourists and residents. At the highly visible intersection of Pratt and Light Streets in downtown Baltimore, the Square was the base of many protests, including Occupy Baltimore. In 2013, with the help of the ACLU, the Square became the city’s model for several designated Free Speech Zones. 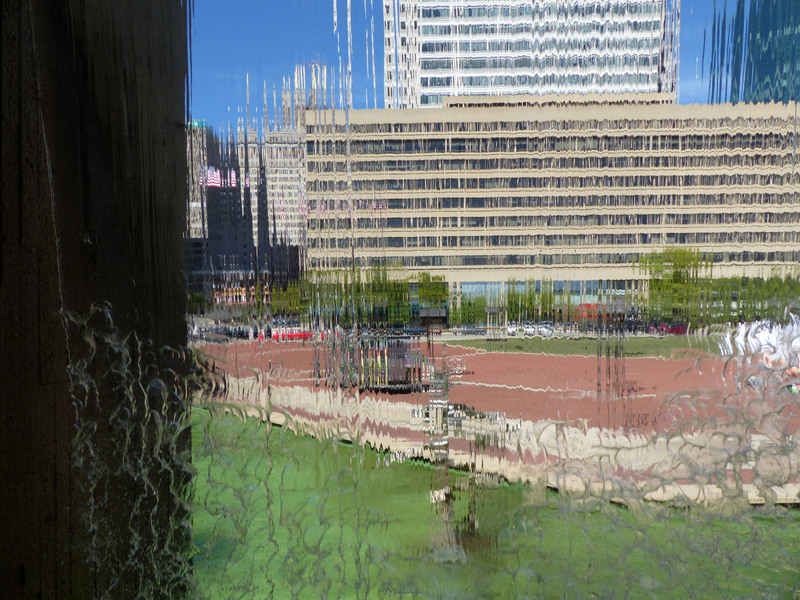 The story of McKeldin Fountain is an example of the escalating privatization of public spaces worldwide, a trend that continues to diminish access to full participation for ordinary people in everyday urban life. The fountain boasted over a dozen diverse structures for water and gravity to flow, including a double waterfall. After several years of neglect, the fountain was only sporadically running and its lighting, plants, and overall appearance started to deteriorate. In 2010, a controversial campaign was launched to demolish the fountain. 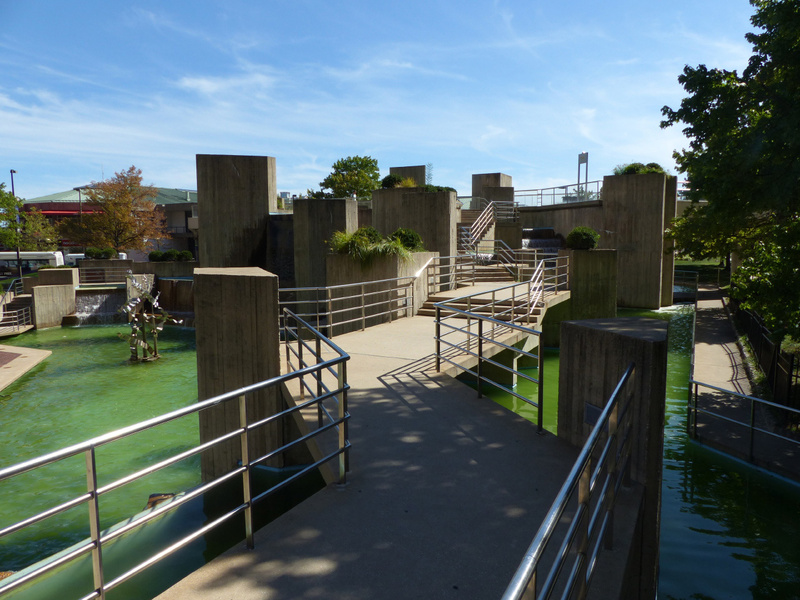 Between October 2016 and January 2017, the fountain was leveled and replaced with a grassy field. Future plans for the site are unknown. 1982 Charles Center - Inner Harbor Management inc. 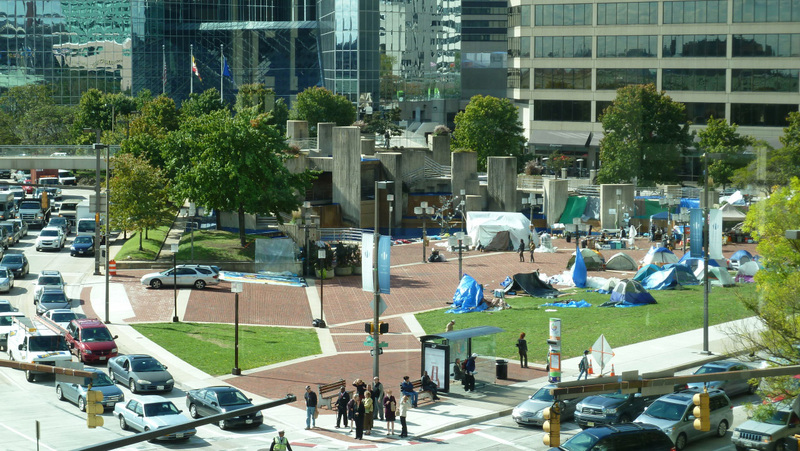 The Square was the base of many protests, including Occupy Baltimore.